Putting down a wager on MMA fights is a pretty easy process, but there is a difference between any old MMA bet and a smart MMA bet. While there is no exact science to betting on MMA, there are ways to increase your odds of success which go beyond doing the necessary research, something that applies to all successful sports betting. MMA betting has some unique pitfalls that casual gamblers can fall victim to, and we can help teach you how to avoid them. Below are some tips and betting hacks you should be aware of before throwing down your money on the fights. The internet has myriad sportsbooks and not all are created equal! That means the odds on fights will differ, depending on where you look. If you’re going to bet on MMA, you should be shopping around at various sportsbooks, and doing so as early as possible. This practice is called line shopping and its an integral strategy for any aspiring sharp bettor. Your best chance to find a flawed line is immediately after its posted. When a sportsbook posts odds that significantly undervalue one fighter, “sharps” will jump on it, and jump on it hard. As the money starts pouring in on that fighter, the sportsbook will adjust the odds (to encourage betting on the other fighter). We recommend that you bookmark the MMA sections of your favorite sportsbooks and check-in daily. It’s also helpful to keep a calendar for the big events from the major MMA promotions so you know what’s coming up and when. If you do this for a few months, you will learn each sportsbook’s cadence and be able to pretty accurately predict when the odds for upcoming fights will be posted. Here’s a situation you might find yourself in as you embark on your MMA betting voyage. You’re out watching the fights. You already put some money down on the main event, but there are still a few undercard bouts to get through before Johnny Champion puts his belt on the line. You don’t have much interest in the next one—a pick’em fight between Over-the-Hill-Veteran and Eastern-European-Guy-You’ve-Never-Heard-Of—and you don’t have any sense of how it will play out. But you figure you’ll up the entertainment value by putting some money on it. Unless betting a few nickels is enough to hold your interest, don’t bet on (or against) fighters you don’t know. (And when I say “nickels,” I mean real nickels, not what professional gamblers refer to as “nickels.”) You probably heard the adage “knowledge is power” growing up. In MMA betting, knowledge is money. When you don’t have it to spend, keep your paper money on the sidelines. Even if you aren’t at risk of developing a gambling problem, restraint is crucial to betting successfully, and winning is a lot more enjoyable than losing, whether you’re trying to score a big payday or just a couple bucks. You hear this cliché get thrown around a lot in MMA, but it’s true and it’s important to remember. You can’t just bet on a fighter based on their record or how popular they are. Even a big star like Conor McGregor can get caught, just ask Nate Diaz. It’s the nature of the sport. Most fighters nowadays are well rounded and train in a variety of disciplines, but they each have strength and weaknesses. Sometimes “Fighter A” has a style that can exploit “Fighter B’s” weaknesses and, although “Fighter B” might be on a winning streak, his tendencies may play right into “Fighter A’s” skillset. It’s paramount that you familiarize yourself with the fighters you are looking to wager on and against. You have to understand their strengths and weaknesses in order to find the value. 4. Don’t Be Afraid of the Dog! Talk to any professional gambler worth their salt and they’ll tell you that, in order to profit in the long run, you have to be willing to bet the underdogs when the value is there. That is especially true in MMA and, in particular, the UFC, where the juice (the percentage taken by the sportsbook) can be inflated and the odds often skew heavily to the favorite. Finding the value all comes down to probability. Let’s look at an example. When TJ Dillashaw fought Cody Garbrandt for the UFC featherweight title, Dillashaw entered as a +170 underdog, compared to -210 for Garbrandt. Dillashaw’s odds carried an implied probability of 37%. Garbrandt’s odds carried an implied probability of 67.7%. In order for a bet on Dillashaw to be a smart bet (or “value” bet), his chances to win must be greater than 37%. If the actual likelihood that he wins is 40%, then he’s being undervalued and betting on TJ is the smarter play. If the fight was held ten times, Dillashaw would lose six and only win four, but if you bet on him ten times at +170, you would come out ahead. If you bet on Garbrandt ten times at -210, you would lose money, even though you would win six of your bets and only lose four. Losses can be hard to stomach for new, casual bettors. But winning, in the long run, means finding the value, whether it’s the favorite or the underdog. Unless you are including a heavy favorite in a parlay bet, heavy favorites often lack value. This is just an extension of what we talked about above. If you’re new to betting, it might seem logical to bet on the fighter who is expected to win. It’s why you see big swings in the odds as you get closer to the fight and casual bettors start putting their money down. The odds tend to get shorter for the favorite because most of the general public just want to back the winner, even if the payout will be minuscule. In MMA, all it takes is one lucky punch by an underdog to send the champ, and your bankroll, down. If you do want to bet on a heavy favorite, you may be better off looking to the prop bets. If you understand the sport and the fighters well enough, you might have a good idea of how a fight will end. 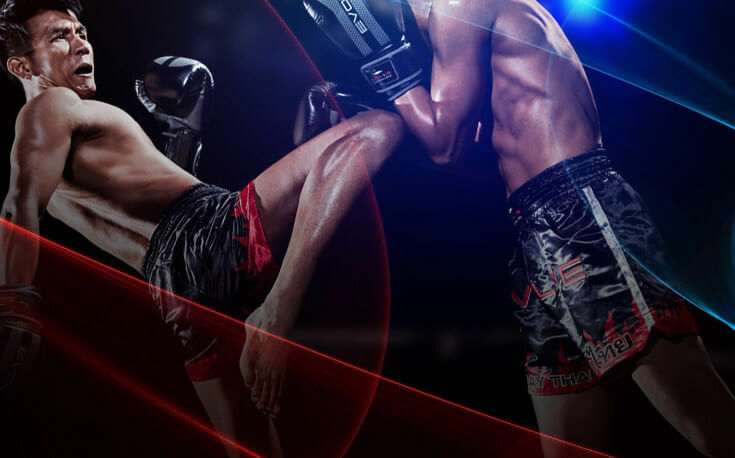 With MMA betting, you can put that wisdom to good use with “method of victory” and “round betting” props. This is where betting on favorites can be more lucrative. For example, if you think a fight will take place mostly on the mat and the favored fighter is a jiu-jitsu expert, betting on a submission might be the best way to go. The odds will net you a bigger payout than just betting on the favorite to win. But, as always, it all depends on the underlying probabilities. So, before you start betting, learn about the fighters (both of them), analyze the matchup, and do the math! If you don’t, you’re breaking Hopper and Eleven’s cardinal rule. Want to Learn More About How to Bet on Sports? Not to worry, we’ve got you covered. Learning how to bet on sports is a marathon and not a sprint. Even if you’re planning to focus a majority of your wagers on just one sport or professional league, we’d advocate for learning more about sports betting at large. Key insights, strategies, and betting plays are frequently gleaned from stepping outside your comfort zone. Don’t silo yourself!